Get your copy of B.A.P's 3d Japanese single! Go watch, like and share the Official Japanese version of No Mercy on YouTube! 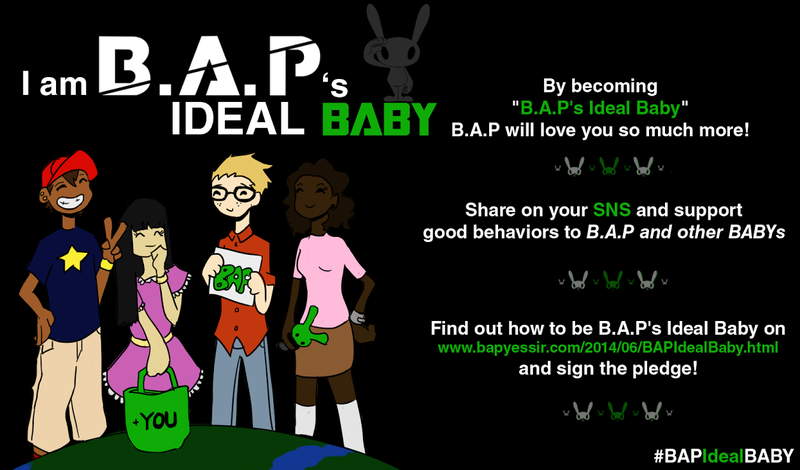 Help get B.A.P on Japanese variety & music shows! Whether you are an international fan or in Japan, there are many ways to support B.A.P with their Japan promotions! Digital single & iTunes Japan: Japan has many music download sites but mostly for Japanese mobile users that record their own digital sales. International fans can purchase digital copies of "Warrior" from iTunes. Another way of using the pre-paid card is by creating a new account for Japan iTunes store. Just sign out of iTunes and then choose to download a free app from the store. This will prompt you to create a new account. Since it is for a free download, the store gives you the option not to provide a payment form. Just proceed with the sign up using a Japanese address (I use a Japan hotel address & phone number which I googled). With this method, you do not need to worry about not being able to change your store location due to unspent pre-paid card amt. It also leaves your original account untouched. Thanks to a very kind Baby for the info! Digital Single/Ringtones & Dwango: for mobile users in Japan, you can download B.A.P songs and ringtones from dwango.jp. You will have to make an account with the site which will charge you a fee each month, depending on how many "point" you want for music purchases a month. NOTE on Digital single: Other than iTunes Japan, there are not many places to download the Japanese version of No Mercy for International fans. Dwango and similar music download sites cater mostly to Japanese mobile users. Here are some shows and how to send your request for them to invite B.A.P, we will add more shows in the future, but for now Baby can focus on this short list. You can tweet them/use their request forms as many times and as often as you can! TV shows usually have a "Guest Request" or "Feedback" form where viewers can ask the program to have a certain guest on their show. Each show has it's own tutorial below for the request forms, you can copy and paste the Japanese text below, which introduces and asks the show to have B.A.P as guests. Just copy and paste the Japanese below and tweet it to the shows with twitter accounts on our list below! The list below is of shows most Japanese have access to, the goal here is to expose as many new fans to B.A.P as possible! 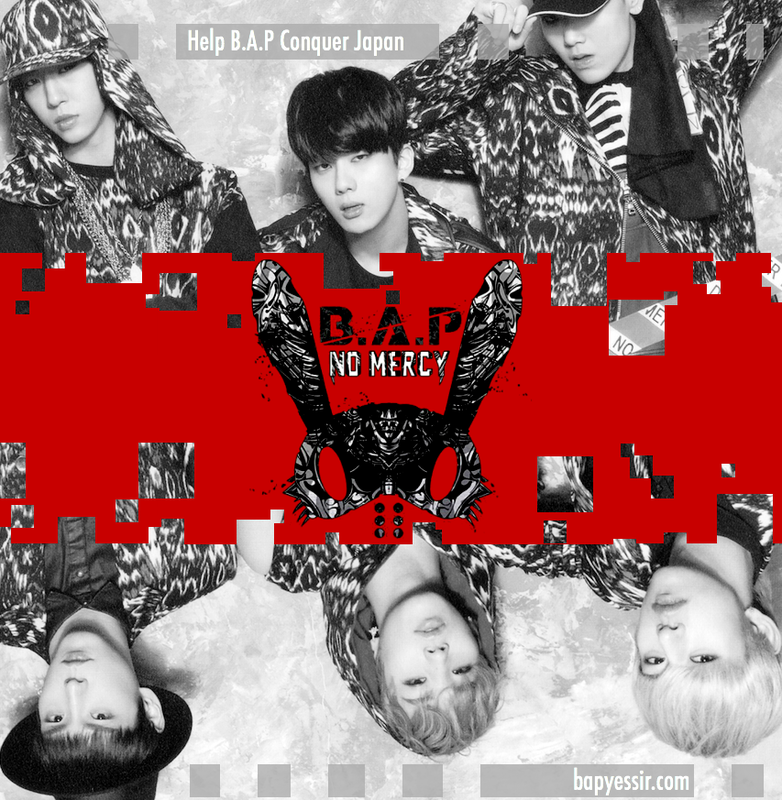 Search for "B.A.P No Mercy"
Subscribe, watch, like, comment, share. Don't REFRESH the page or press REPLAY button: You must REPEAT the above steps and search the PV again for each view to count. You must clean history after 10 plays and delete cookies every 60 minutes (ALL TIME history/cookies, not just the ones for the past hour ^^). If you are in Japan or know someone in Japan, you can use our tutorial to sign up for BABY JAPAN! After all the fees (and the price increase since Japan just raised sales tax), it's about 6500 yen to sign up, but members get access to Fanclub concert ticket-pre-sale lotteries, special member goods, access to the fanclub members homepage, and more! Wooosshh....now FINISH asking them a favor!